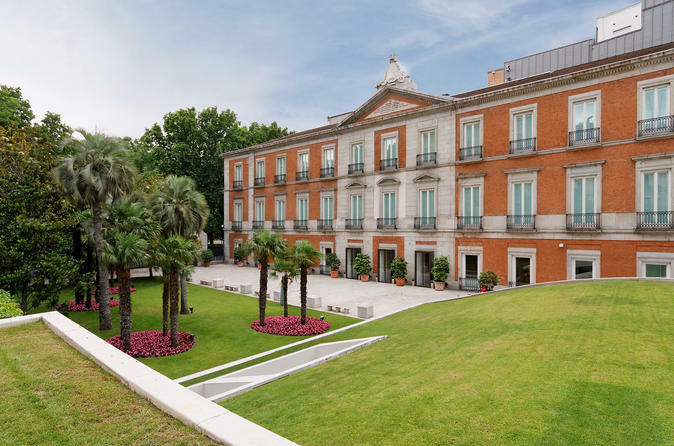 Discover the highlights of the vast history of Spain’s art with a private guide.The Thyssen-Bornemisza museum is known as part of the “Golden Triangle of Art”, which also includes the Prado and the Reina Sofia national galleries. The Thyssen-Bornemisza fills the historical gaps in its counterparts’ collections: in the Prado’s case this includes Italian primitives and works from the English, Dutch and German schools, while in the case of the Reina Sofia it concerns Impressionists, Expressionists, and European and American paintings from the 20th century. With over 1,600 paintings, it was once the second largest private collection in the world after the British Royal Collection.A competition was held to house the core of the collection in 1987-88 after Baron Thyssen, having tried to enlarge his Museum in Villa. It houses art dating from the 13th century, up to the late 20th century. Get to know masterpieces of the ancient and modern masters in one of the most important private collections, belonging to the Thyssen-Bornemisza family, for instance Degas’ Swaying Dancer, or Picasso’s Harlequin with a Mirror. Enjoy this collection from the hand of an expert and private guide.